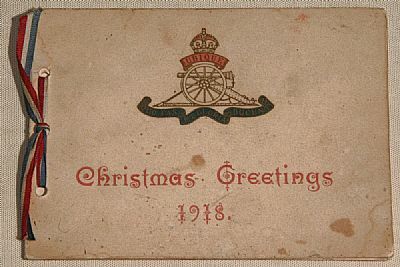 Distinctive cards were sent back home by soldiers. The Christmas Greetings card below, left was sent to a relative in Invergordon by Danny Young who lived and worked on his grandfather’s farm at Craighead above Rosemarkie. 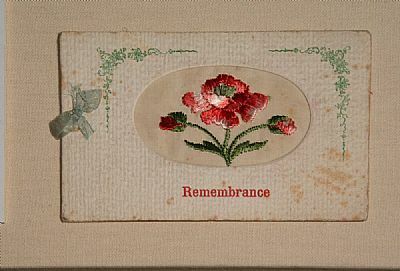 Other cards were embroidered like the one below, right.